With a new Dune movie on the way, it’s time to start digging up the property’s old tie-ins, and there’s no better place to start than the critically-acclaimed—and long out of print—board game. 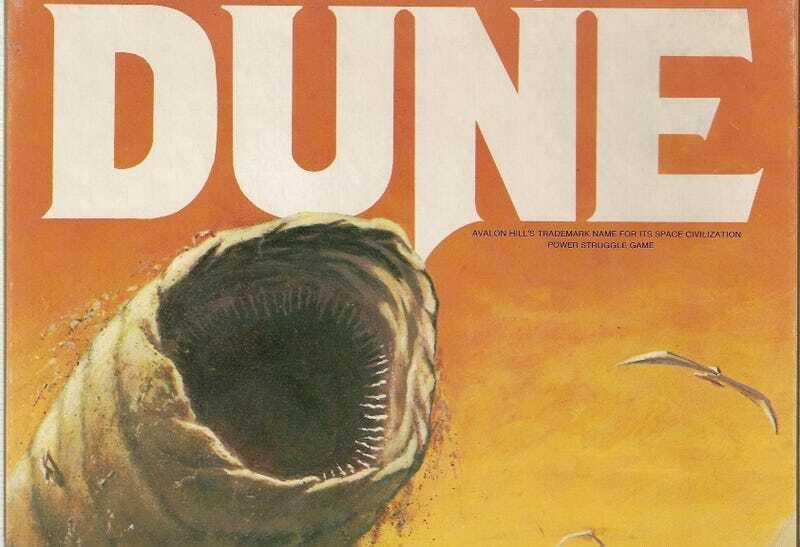 Designed by the same team behind Cosmic Encounter and first published in 1979, Dune would be re-released in 1984 alongside David Lynch’s movie, and then it just faded away. Despite being loved by players (and receiving a reprint in French in the early 90s), the Dune game disappeared from public eye, leading collectors and fans to treasure any copies they could get their hands on. There’s not too much more to go on from that, but even if it’s just the same game with new art, this is very good news.